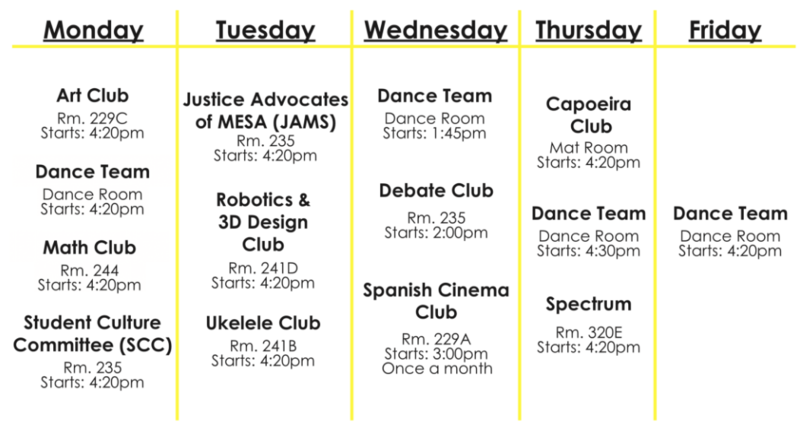 All MESA students are encouraged to join an existing club or create new ones. Most MESA clubs meet once or twice a week after-school for one hour. Club activities include robotics, chess, debate, dance, photography, visual arts, theater, music and capoeira.